Surrounded by a well-tended garden just 20 metres from the sandy beach of Kastraki, Blue Myth Studios offers a snack bar. 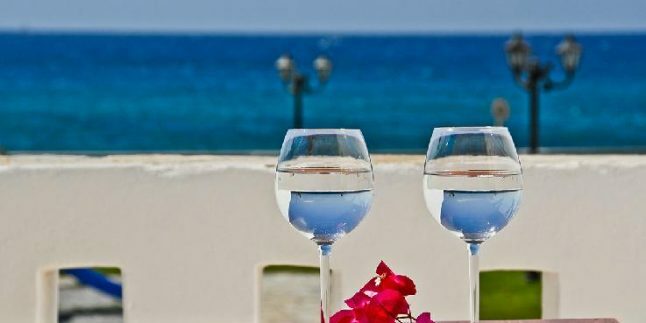 It features self-catered accommodation with furnished balcony or patio overlooking the Aegean Sea. Featuring modern decoration, all the self-catered units at the Blue Myth feature a kitchenette with cooking facilities, fridge and coffee machine. Each has a flat-screen TV. A children’s playground is available in the garden. Free Wi-Fi access is available in public areas. Naxos Town is within 15 km while Naxos Port is 18 km away. Naxos Airport is at a distance of 18 km. Free private parking is offered at the property.